Ares Rosakis graduated from Athens College, a Greek-American high school in June of 1975. In September of 1975, he moved to the United Kingdom to attend University College Oxford and to study engineering science. He received his bachelor's (B.A.) and Master's of Arts (M.A.) degrees from Oxford University in 1978 and 1986 respectively. He went on to earn his ScM. (1980) and PhD (1982) degrees in Engineering (solid mechanics and structures) from Brown University. He joined the California Institute of Technology (Caltech) as an assistant professor in 1982 as the Institute's youngest tenure track faculty member. He was promoted to the ranks of associate and full professor in 1988 and 1993 respectively. 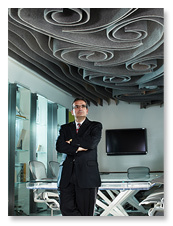 In 2004, he was named the Theodore von Kármán Professor of Aeronautics and Professor of Mechanical Engineering. In 2013, he was honored as the inaugural recipient of the Otis Booth Leadership Chair, Division of Engineering and Applied Science. Rosakis has been honored with many recognitions in mechanics, in aerospace and in materials failure including the 1989 Rudolf Kingslake Medal and Prize from the International Society of Optical Engineering (SPIE) and with various prizes awarded by the Society of Experimental Mechanics (SEM). These include the 1992 Hetényi Award, the 1996 B. L. Lazan Award, and the 2003 Frocht Award. In 2005 the same society selected him to become the William M. Murray Medalist and Lecturer for his life-long contributions to the development and application of advanced methods for accurate measurement of transient, dynamic phenomena. 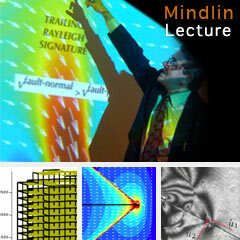 In 2007, he received the Harting Award (SEM). 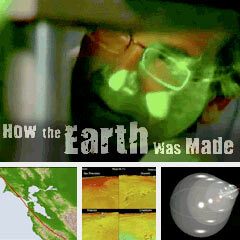 In 2009, he was elected a Fellow of the American Academy of Arts and Sciences (AAAS). In 2010, he was awarded the Brown Engineering Alumnus Medal (BEAM) and the Robert Henry Thurston Award from the American Society of Mechanical Engineers (ASME). In 2011, he received the A.C. Eringen Medal from the Society of Engineering Science (SES) and he was elected Fellow of the National Academy of Engineering (NAE). In 2012, he was appointed Commandeur dans l'Ordre des Palmes Académiques from the Republic of France. In 2013, he received the P.S. Theocaris Award from the Society of Experimental Mechanics for his lifelong contribution to experimental science and mechanics. He was also elected member of the European Academy of Sciences and Arts (Academia Scientiarum et Artium Europaea), Foreign Fellow of the Indian National Academy of Engineering (INAE), and a corresponding member of the Academy of Athens (National Academy of Greece). In 2015 he received the Sia Nemat-Nasser Medal from SEM for his interdisciplinary utilization of experimental mechanics to advance the field of earthquake Seismology. In 2016 he was awarded the Theodore von Kármán Medal from The American Society of Civil Engineers (ASCE) for his discovery of super-shear frictional earthquake ruptures and was also elected member of the National Academy of Sciences (NAS). In 2017 he was elected Honorary Fellow of the International Congress on Fracture (ICF) and Fellow of the American Geophysical Union (AGU). 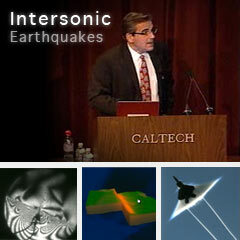 From 2009-2015, he served as the Chair of the Division of Engineering and Applied Science (EAS) at Caltech. This position is the equivalent to that of "Dean" of the school of engineering in other major universities. As Chair of the EAS Division, he presided over the largest of the six academic divisions at Caltech which has more than a third of the Institute’s faculty and forty percent of the entire student and postdoctoral fellow population. The EAS division is an elite organization which has been highly ranked by both US and International bodies including The Times Higher Education World University's rankings. They have ranked Caltech as No.1 in the specific subject of Engineering and Technology for the 2010-2011, 2011-2012 and 2012-2013 academic years. Since 2011 they also rank Caltech, as a whole, as the No.1 university in the world. Over the years eight members of the division's faculty have either won the US National Medal of Science or the National Medal of Technology, thirty percent of the faculty are members of the National Academy of Engineering (NAE) eleven percent are members of the National Academy of Science and sixteen percent are members of the American Academy of Arts and Sciences (AAA&S). Prior to being the Division Chair, of the Engineering and Applied Science Division, between 2004 and 2009, Rosakis served as the fifth Director (department head in other institutions) of the historic Graduate Aerospace Laboratories (GALCIT) formerly, known as the Guggenheim Aeronautical Laboratories. This historic organization was established by Theodore von Kármán, the legendary rocket scientist, who was GALCIT's first Director. GALCIT is also the mother institution of Caltech's and NASA’s Jet Propulsion Laboratory (JPL). Eighty years after its founding and during the second year of Rosakis’ directorship, GALCIT regained its position as the 1st ranked aerospace department in the US (US News and World Report), and subsequently shared this place with MIT's Department of Aeronautics and Astronautics, a department roughly 5 times its size. GALCIT boasts a number of illustrious alumni who have had worldwide impact in academia, science and technology and politics. Amongst them are the father of the modern Chinese Space Program, former GALCIT professor, Tsien Hsue-Shen, and Indian Aerospace Research pioneer Professor Shatish Dhawan. In July 2005, Rosakis was a Visiting Professor in the Dept. of Terre Atmosphere-Ocean, École Normale Supérieure Paris, France. In May 2008, he held the prestigious Astor Visiting Professorship at the University of Oxford. He was a member of the visiting committee for the Department of Aeronautics and Astronautics at MIT and is currently a member of the visiting committee for Civil and Environmental Engineering at Northwestern University. He has served as Member, Ex-Officio Member and Chair of various Boards and Councils including the Advisory Council of NASA’s Jet Propulsion Laboratory, the Board of the Joint Center of Artificial Photosynthesis (JCAP), the steering committee of the Keck Institute of Space Studies (KISS), the Institute’s Academic Council (IACC) and the Institute’s administrative council (IAC). He was also Chair of the Scientific Advisory Board of “Oration Diagnostics” a Pasadena and Silicon Valley based startup company that he co-founded with Subra Suresh, then Dean of Engineering at of MIT, now Nanyang Technological University (NTU) president Elect. Rosakis is also a past Chairman of the Fracture & Failure Mechanics Committee of the Applied Mechanics Division (AMD) of the American Society of Mech. Engineers (ASME), and past Chair of the Exec. Committee of the Applied Mechanics Division of ASME. 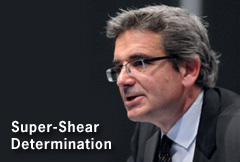 He is currently a vice President of the International Conference on Fracture (ICF).